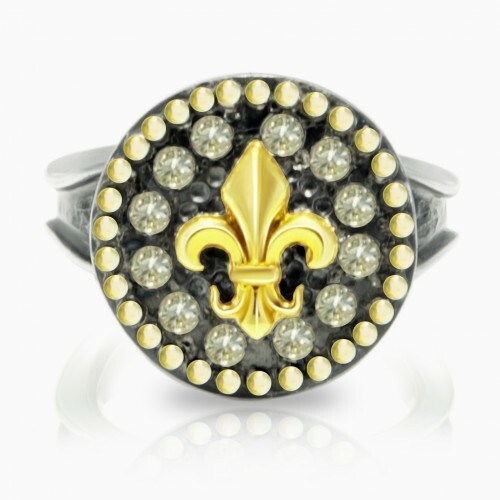 This ring is a fleur de lis ring with upside down diamond and gold points. 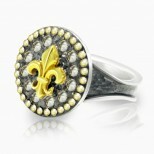 .925 Silver, 18 k Gold fleur de lis and dots framing the ring. 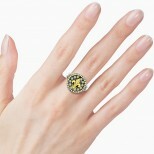 Total weight of diamonds is 0.36 ct, fancy light brown color, diamonds are set upside down which give a different brilliance. 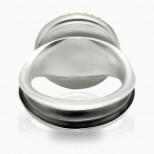 Diameter of top is just over 1/2 inch(or 15.5 mm).